While writing a reply to comment made on yesterday’s blog early this morning, I stated that for me, there was a connection with energy of these young people that were behind this weekend’s March For Our Lives and that of the presidential campaign of RFK in 1968. 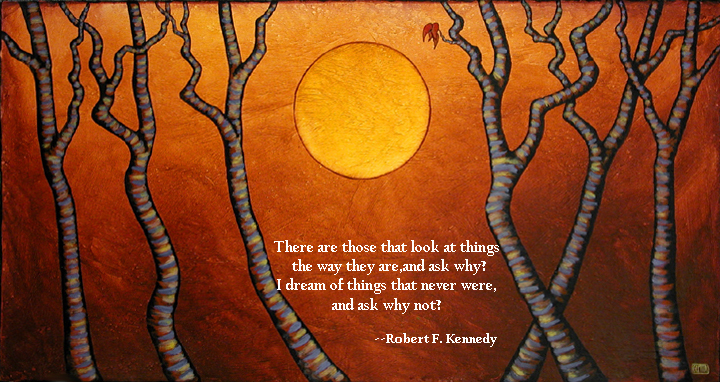 I was only 9 years old but was fully aware of RFK , watching intently every day as his campaign was covered on the evening news, in our case NBC’s Huntley-Brinkley Report. His youthfulness stood in stark contrast to the other politicians that I saw such as LBJ and Nixon, older stodgy looking men in dark suits. Kennedy looked young enough to be their sons and the crowds that turned out to see him were always filled with kids. Many photos of his campaigns show him standing amid swarms of young people. 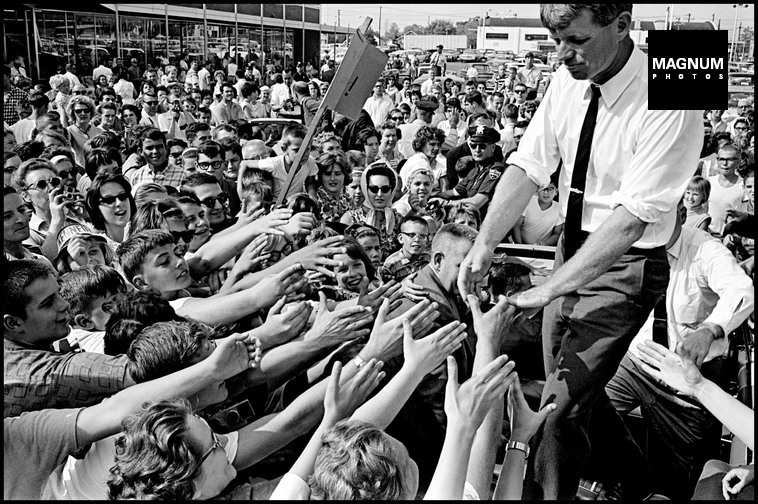 One of my favorites is from his 1964 senate campaign, with him in a shopping plaza in my hometown that I know well. He is standing in car with his shirtsleeves rolled up with a crowd of kids reaching out to shake his hands. The idea of dreaming things that never were and thinking they could actually happen still seemed like a possibility in those moments. And why not? We were on the brink of putting a man on the moon, something that only a few years before seemed impossible. We had passed sweeping Civil Rights legislation, overcoming centuries of ingrained prejudice and the darkest efforts of those who claimed supremacy. And that thought is what seems to be taking root in these kids. They don’t feel bound to history. They see only the present and the future and in that, they recognize that they will be the ones occupying the future. Why simply accept the wreckage we are leaving them as our legacy? Why not make it a time and a place of their own making? Their vision, their world. Not one forged by old men who only see things in terms of money and privilege.